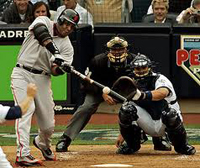 Barry Bonds is, without a doubt, one of major league baseball’s greatest home run hitters. His career has been one of a mixture of outstanding achievement mixed with great controversy. However, amidst all of the buzz about his career and whether or not he deserves his trip to the hall of fame or not, there is one aspect of his life and his career that is often overlooked. Barry Bonds also has a much softer side than many expect and he is known for his outstanding charity work. Barry Bonds was born in Riverside, California and grew up in San Carlos, California. While not exactly poor, his family was not what many would consider wealthy. And he certainly knew many who were poor and was fully aware of how many underprivileged children there were who may not have had the opportunities that Bonds himself found. Barry Bonds was a multi-sport player in high school where he played on the JV team in baseball, football and basketball. He was soon part of the varsity team with his second year. After that, there was no looking back as he played on college teams and, eventually, major league teams after being drafted by the Pittsburgh Pirates in 1985. These days, Bonds is known for having the all-time career home run record at 762. He is also known for some of the controversies and scandals that have clouded parts of his career. But how many fans are really aware of his charity work. In Harvey, Illinois, a city near Chicago that is underdeveloped and has a large poor population, he has a street named after him. The reason is not just because of his ability to hit the ball out of the park. No, the city named the street after him because of the work he did with underprivileged children in the area. That is just one aspect of his charity work and his giving back to the community. Bonds started a program called Link ‘N Learn that is part of his Barry Bonds Family Foundation http://mlb.mlb.com/players/bonds_barry/about/foundation.jsp to encourage academic achievement for kids in poor neighborhoods in and around the Bay Area where he has spent the bulk of his major league career. His family foundation was started in 1993. Bonds has also reached out to help individuals who have been injured or hurt, the most famous being Giants fan Bryan Stow. Stow had been brutally beaten by Dodgers fans and had received a fractured skull and severe brain injuries. Bonds offered to pay for Stow’s child’s college tuition and visited Stow in the hospital to give him signed memorabilia. Barry Bonds also has a foundation set up that gives money and signed memorabilia to charities so that they can auction them off for money. He has also been known to visit children in underprivileged areas and actively encourages them to try and achieve more than they are capable of doing otherwise. Barry Bonds may be controversial to some fans, but there is no doubt he is a man thankful for the success that he has achieved. He shows that by giving back, with his main focus being on children.